Although this screen protector is for an IPhone 7Plus, it fits perfectly for my IPhone 6 Plus. I was pleasantly surprised when it arrived in the mail. This company did an excellent job of packaging these two IPhone 7 Plus screen protectors. I was really impressed. The package was similar to the type that cd’s are stored in. Very impressive. The last screen protector I purchased came in clear plastic envelope and wasn’t so highly protected as these. 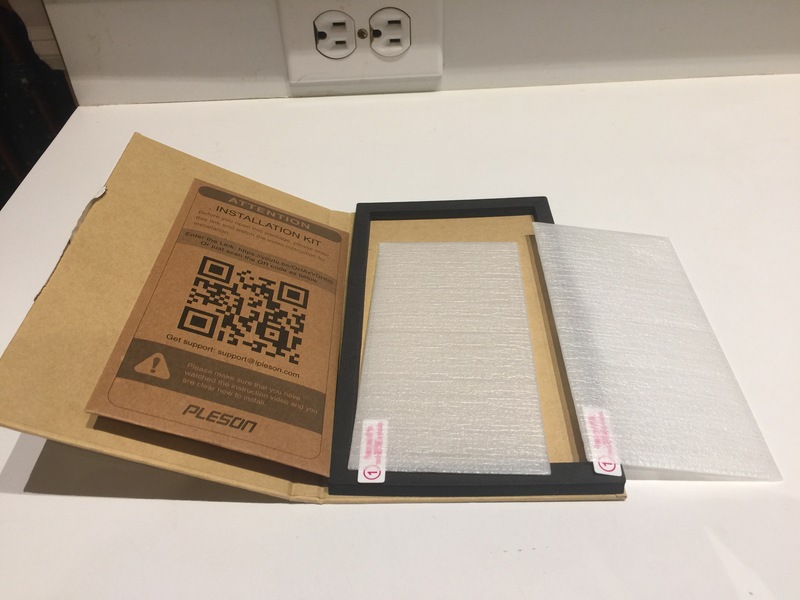 The two HD (High Definition) glass screen protectors are individually wrapped very securely with a foam/spongy like white material to protect the products. 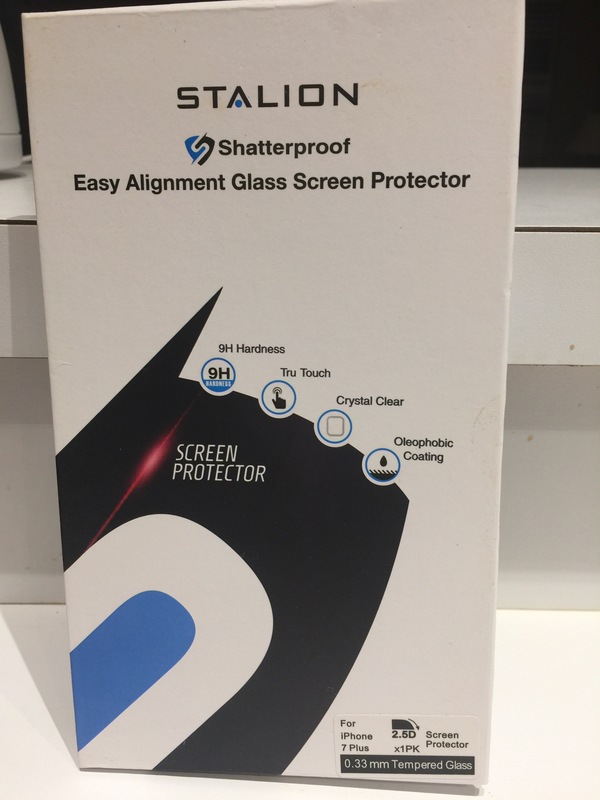 This HD glass screen protector is scratch resistant, shatterproof, fingerprint and smudge resistant and keeps the dirt off the original glass on the IPhone. The HD glass screen protector is ultra clear, ultra smooth and protects the original IPhone screen from otherwise easily getting damaged. 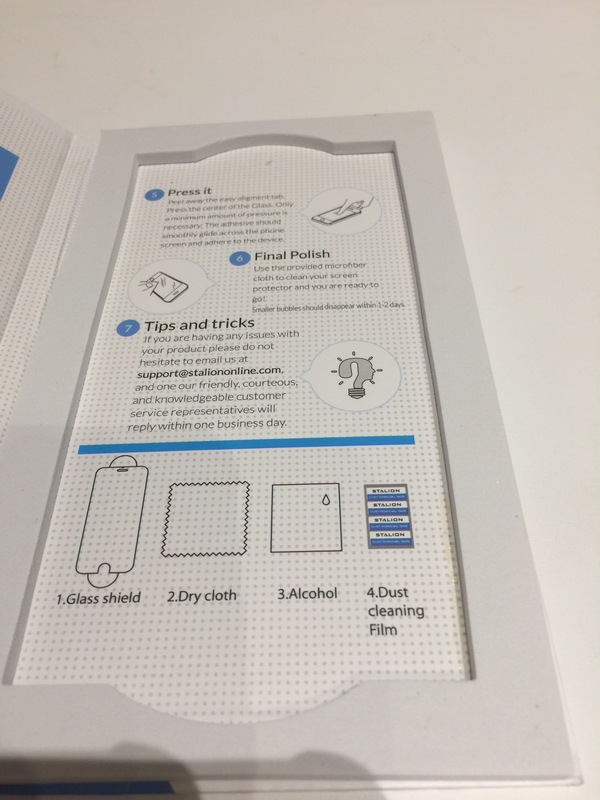 Two handy cleaning wipes, two dust absorbers, two sticky tabs, an easy to understand glass screen protector brochure, a warranty card with warranty information. The company also provides an online link that you can click on and watch as the video easily explains the installation of this great affordable product. I think these two glass screen protectors are very well crafted and actually just as good as the high end priced glass screen protectors. Also the tempered glass doesn’t bubble or pucker like a plastic screen protector, and it feels just like the phone’s original screen. 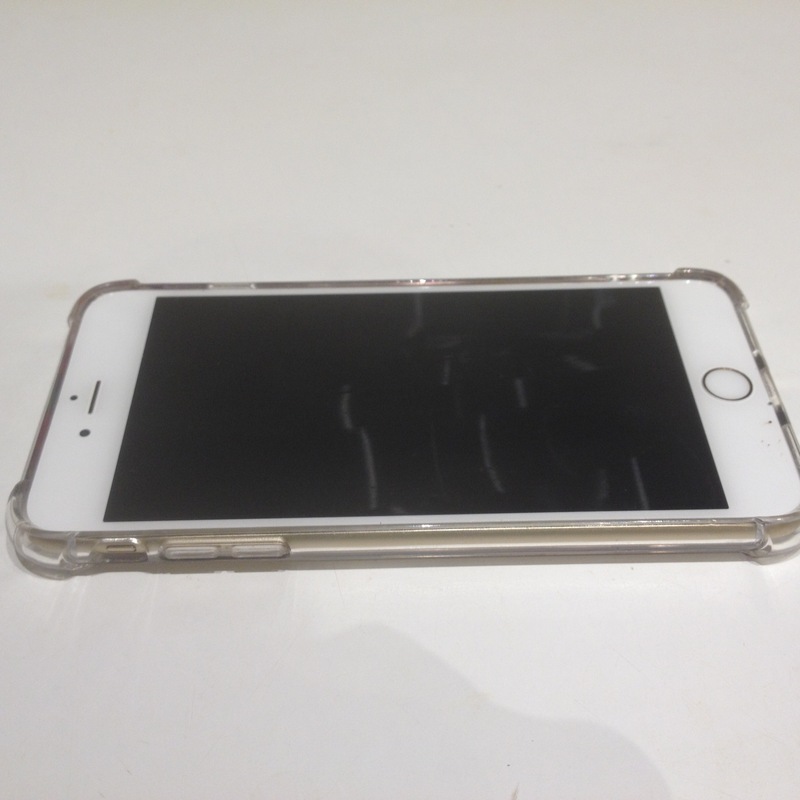 The tempered glass screen protectors are more substantial and provide more durability. Choosing this very durable, high quality screen protector can actually help to increase the life of your cell phone. 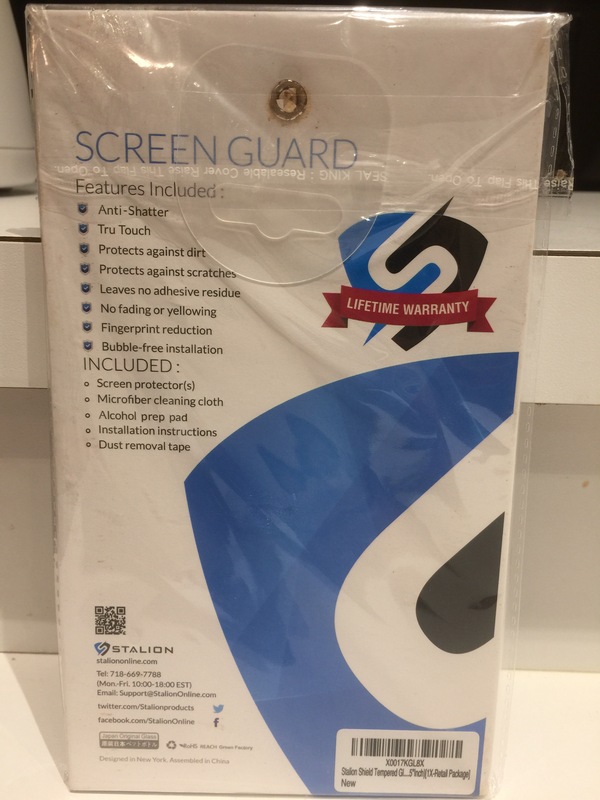 This glass screen protector has a 100% satisfication guarantee or 100% refund. The companies official website is http://www.ipleson.com. 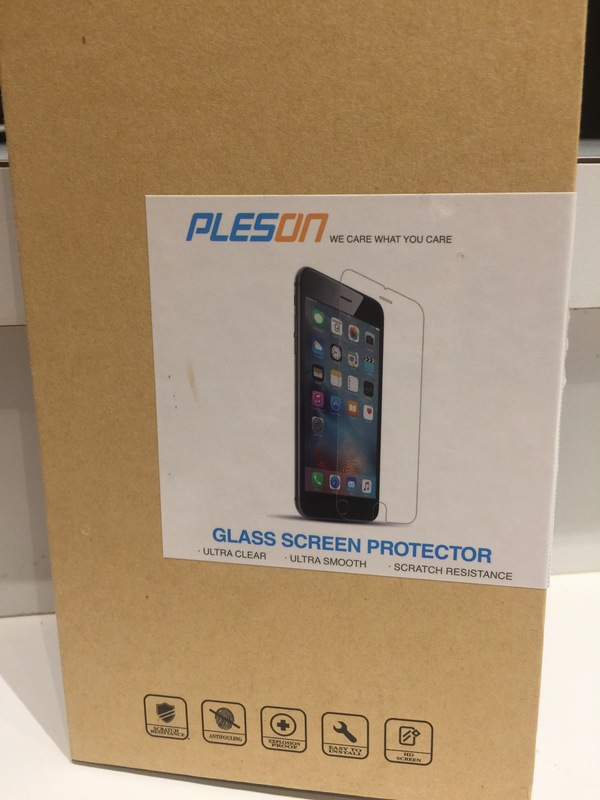 Also the company provides customer service a 24 hour service, seven days a week at the following website – support@ipleson.com. I consider this product to be high end quality at an affordable price. I highly recommend this product. 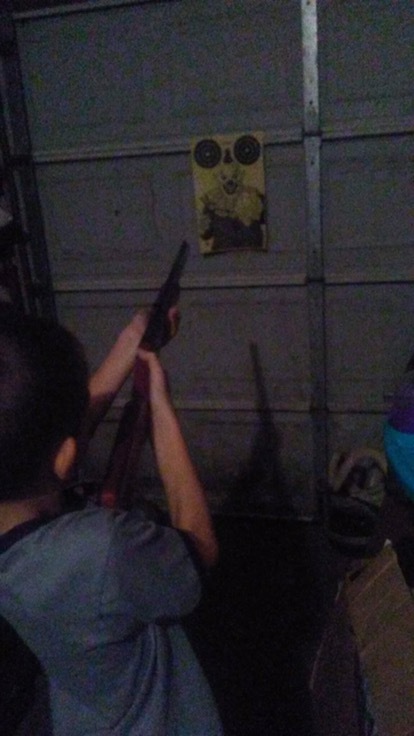 My grandson age 8 1/2 years old is just learning the safety rules of using a BB Gun to shoot his new thick paper targets. He like the different prints, especially the one with the clown on it. These targets are all a good size – 11″ x 17″. These targets come 25 to a package and as of December 2016 sell for $9.97 at Amazon.com. They live up north and it’s already cold there in December. So instead his Dad was just explaining the rules to him in their garage. 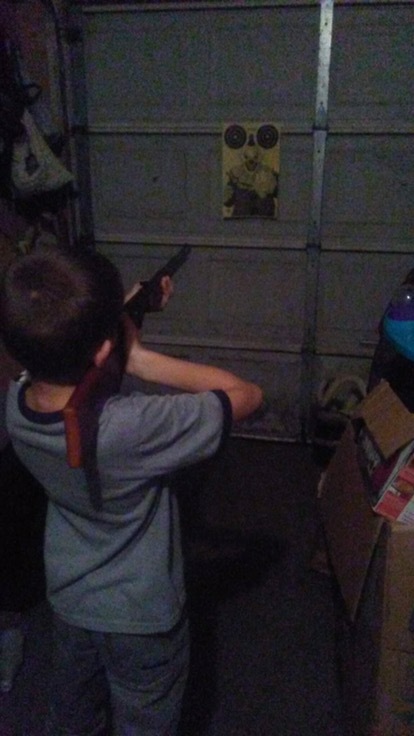 His Dad let him pretend he was shooting the target. They want to wait for a break in the weather. 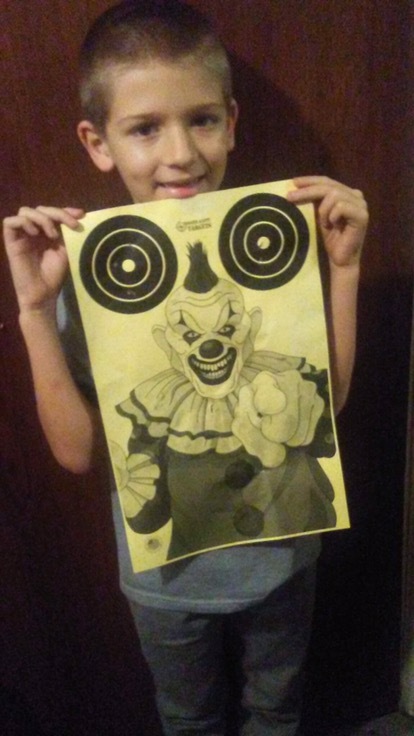 My grandson was excited to get these really nice targets. 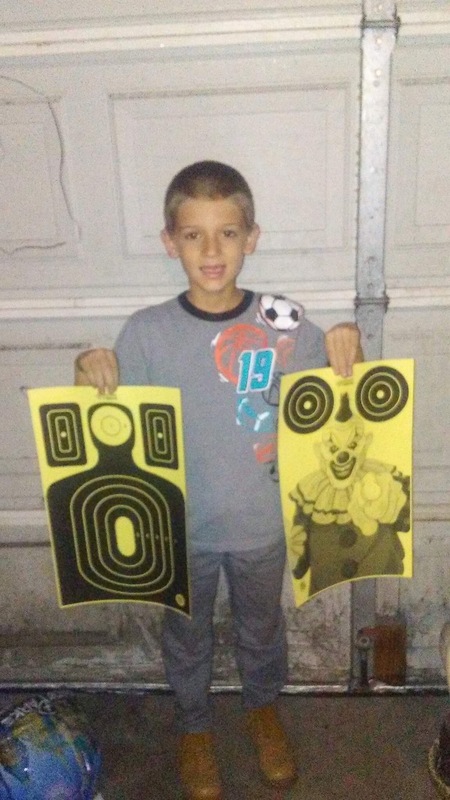 His Dad say the targets are really nice and quality made. Really nice thick paper targets for them to use at the Rod and Gun Club. It’s a nice sport for my grandson and his Dad to do together. We highly recommend this package of targets. 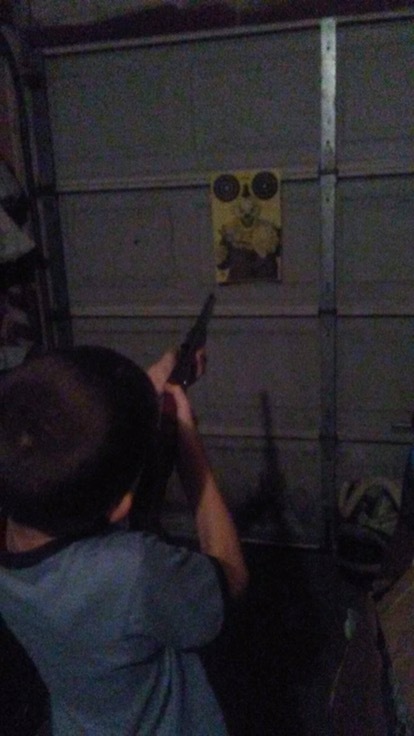 I purchased these really nice targets at a discounted price in return for my honest and unbiased review. I needed to replace my old worn out I Phone 6 Plus Case. 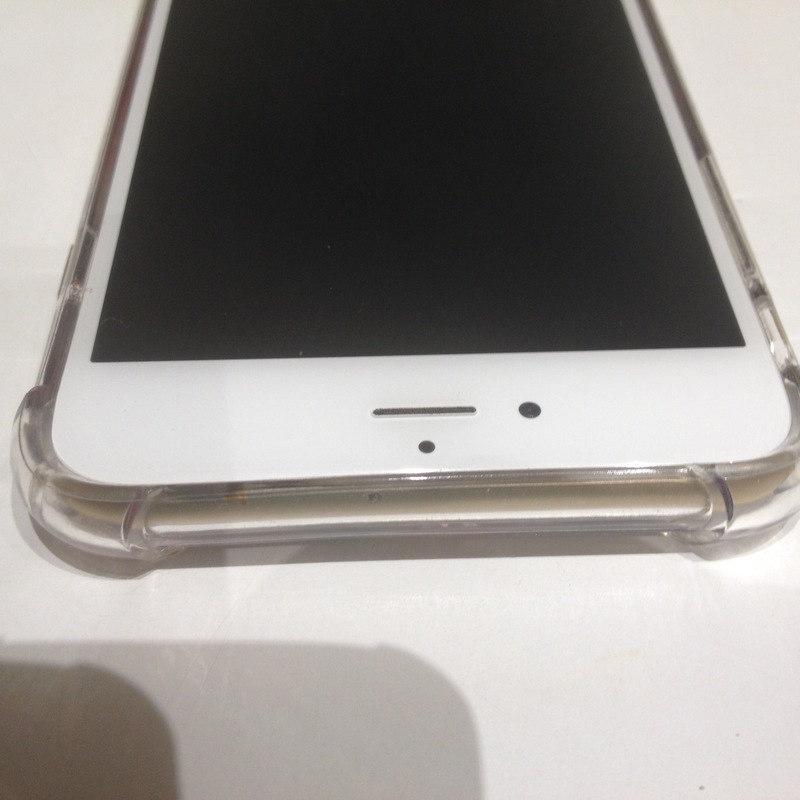 I was given the opportunity to review an I Phone 7 Plus Case (cell phone protector). Once I found out that the I Phone 6 Plus and the I Phone 7 Plus are compatible, I agreed to review this product. I purchased the IPhone 7 Plus thst is has a TPU (thermoplastic polyurethane) case. A TPU case is made out of a hybrid material which is a mixture between a hard plastic and a soft silicone. It’s a very dense and smooth rubber, made to slide in and out of your pocket without attracting lint. 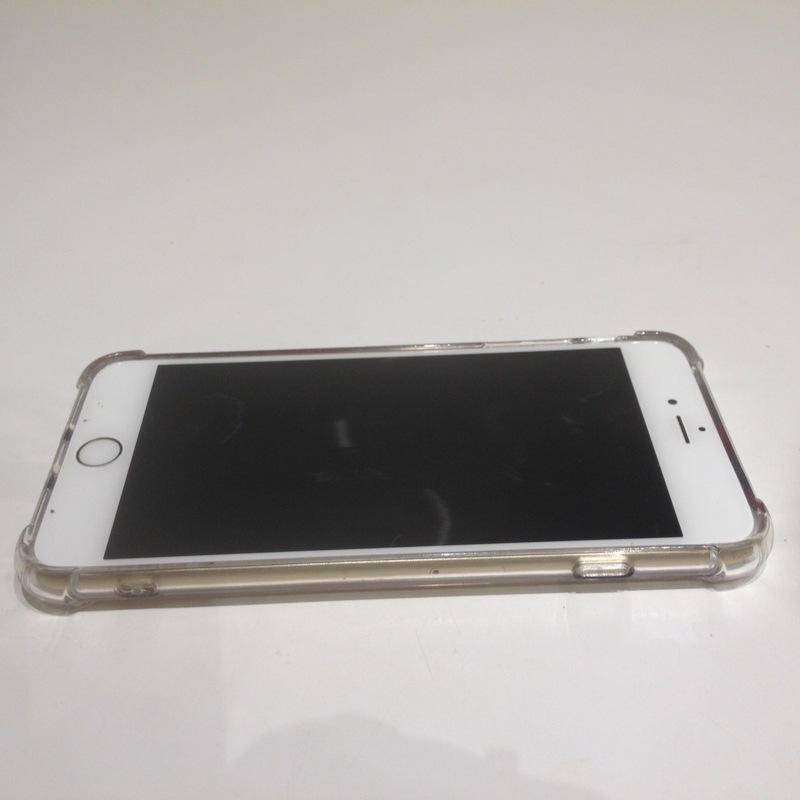 This product is very well made, extremely durable and shockproof. This is a very stylish, ultra slim case that is also scratch resistant. 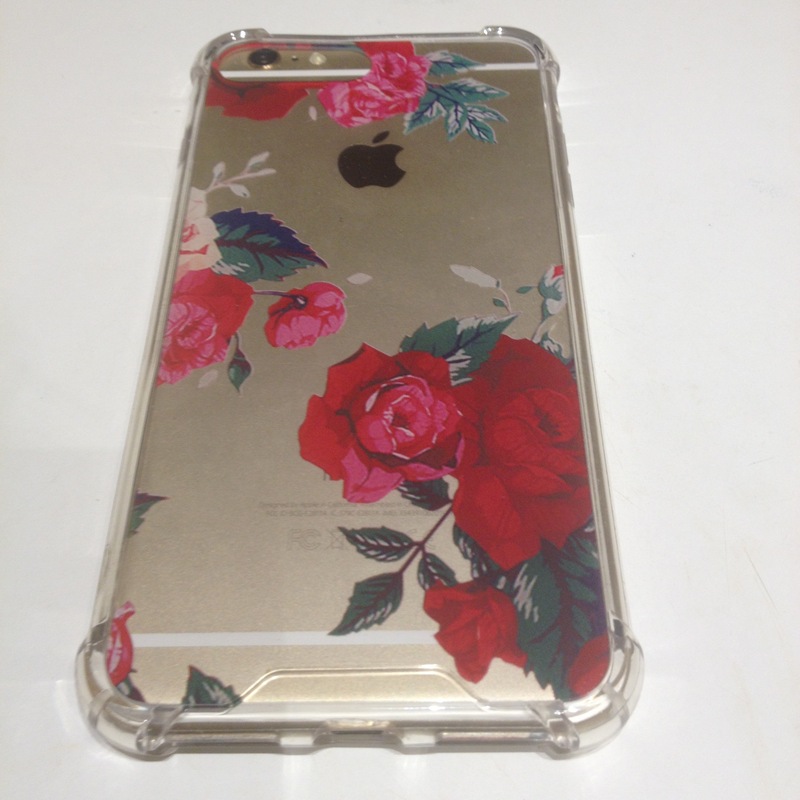 The case is clear, but on the inside of the bottom of the case it has beautiful, thick, red rose decals. These red roses decal are also protected from scratches with them being on the inside. This case is very well designed. 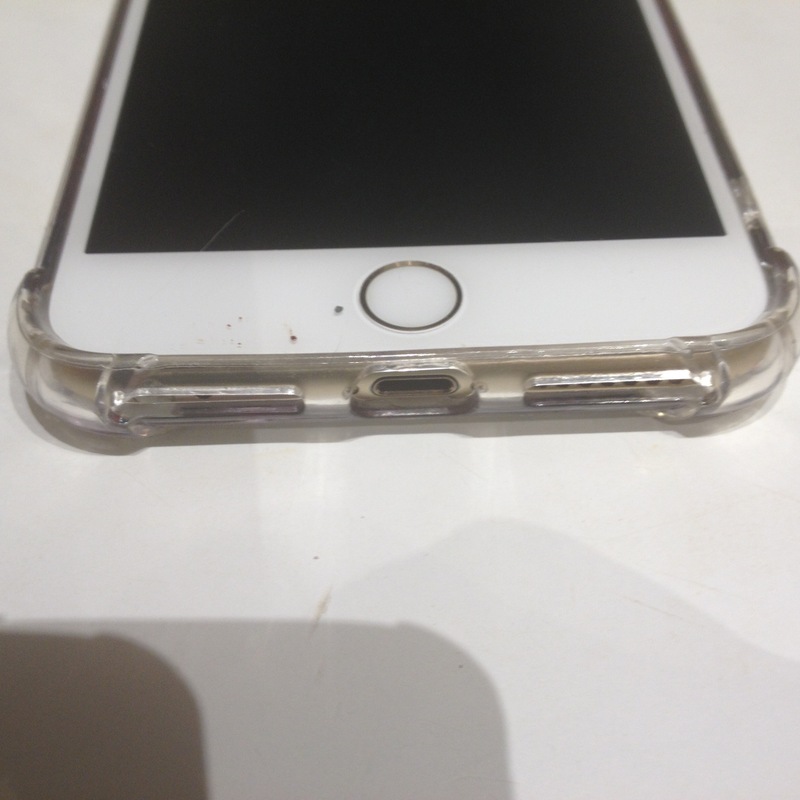 This new case also has thick bumper edges on all four side which also help to protect the IPhone’s screen. Last nice feature is the opening that is necessary to insert the IPhone charger is the perfect size. My last IPhone case didn’t have the correct size opening and it was a little tight to insert the charger end into the opening. It sometimes wouldn’t stay in correctly and then the power would shut off. One thing you must realize is that you must purchase a seperate screen protector which is not included. This protective case is great, but I still would want the screen to have that added protection. I am very pleased with my new stylish and very well constructed IPhone case. I have received a few compliments on my new IPhone since I purchased it. So far this cell phone case still looks brand new and has no scratches or cracks even though I have dropped it a couple of times on my tile floor. This style is perfect for me. Just what I needed. I highly recommend this product to family and friends. I purchased this IPhone 7 Plus Case at a discounted price in exchange for my honest and unbiased review. Although this screen protector is produced for an IPhone 7Plus, it fits perfectly for my IPhone 6 Plus. This company did an excellent job of packaging the IPhone 7 Plus screen protector. The package was similar to the type that cd’s are stored in. 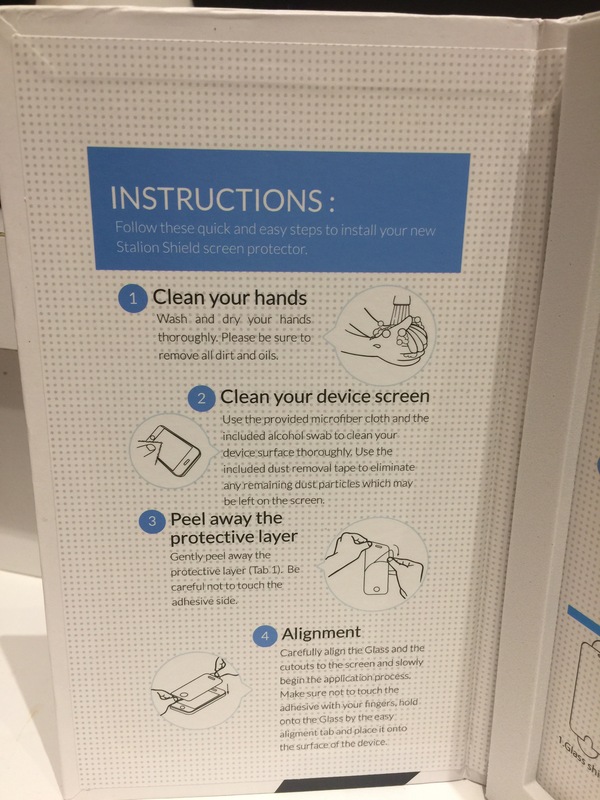 I have purchased one other IPhone 6 Plus screen protector that had a similar packaging. 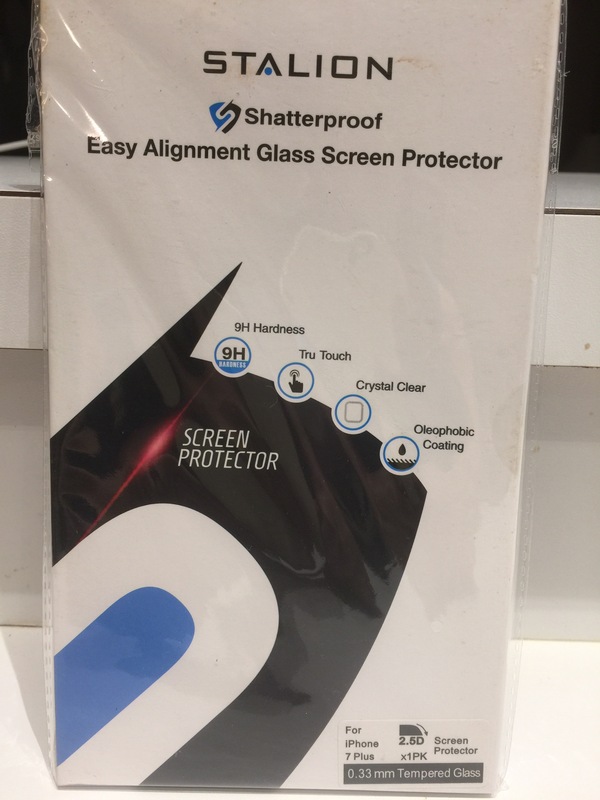 This product is made of tempered glass. It is scratch resistant, shatterproof, leaves reduction in fingerprint and smudges. 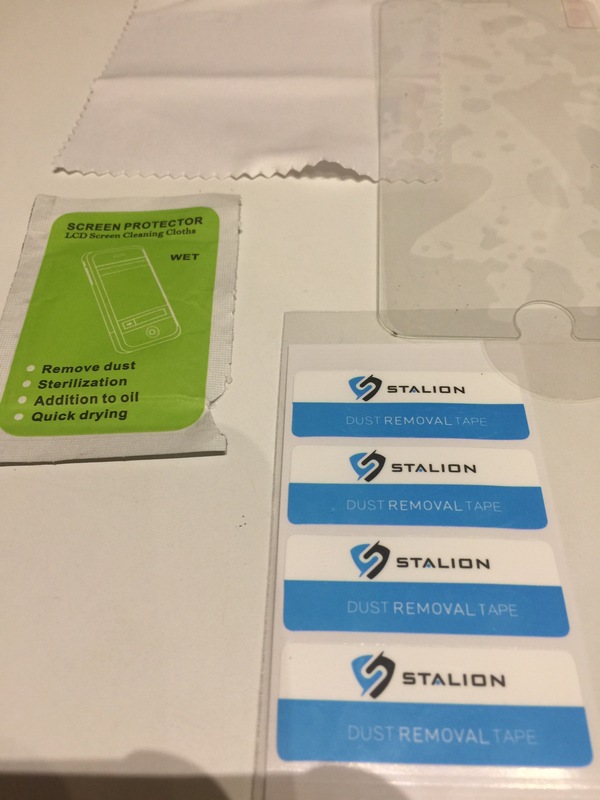 It leaves no adhesive residue, no fading or yellowing, bubble-free installation and keeps the dirt off the original glass of your IPhone 6 Plus or IPhone 7 Plus. The screen protector is clear, smooth and protects the original IPhone 7 Plus screen and the IPhone 6 Plus screen from otherwise very easily getting damaged if accidentally dropped or not handled carefully. 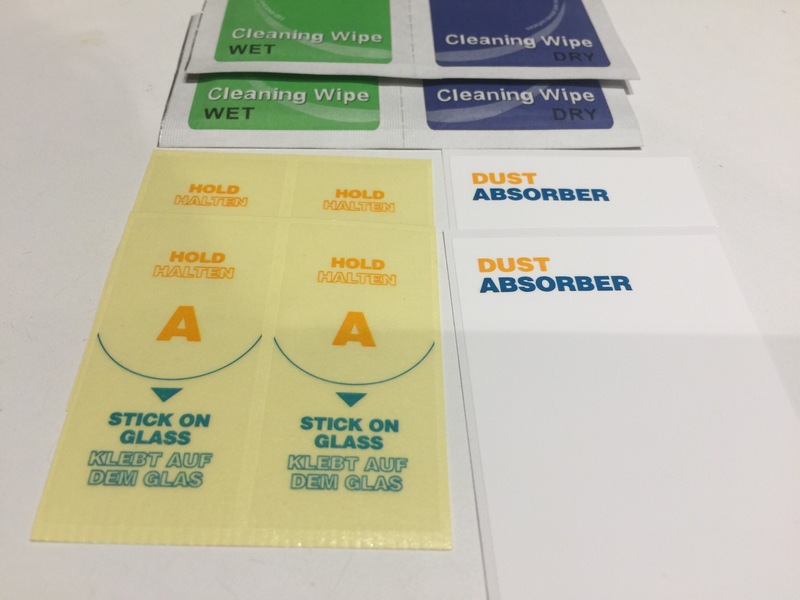 Also included is a microfiber cleaning cloth that can be reused, a wet screen protector cleaning cloth, a dust removal tape and easy installation insrtuctions. This tempered glass screen protector is very well crafted and actually just as good as the high end priced glass screen protectors. This glass screen protector has a 0.33 mm thickness and 2.5D anti chip curve edges. This is a very durable, high quality screen protector that will help to increase the durability of your cell phone. This product has a 24 month guarantee. The companies email address is Support@StalionOnline.com. They also have a twitter and Facebook account listed on the back of the enclosed package. The company also provides a phone number with business hours to contact them. I consider this product to be a high end quality product at an great price. I highly recommend this product. I received this product at a discounted price in exchange for my honest and unbiased review. These sports headbands are very well constructed. They are sold as a set, three to a package. 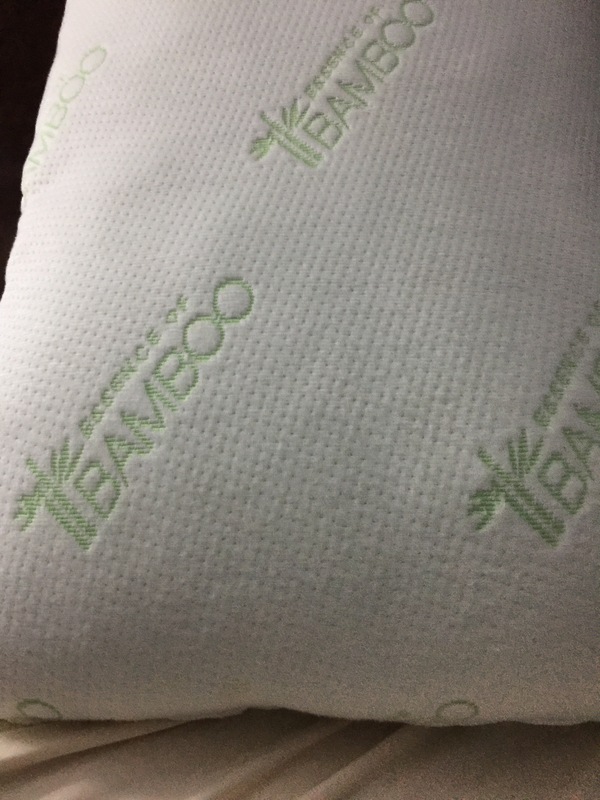 The material is 100% polyester and feels very soft and comfortable when worn. 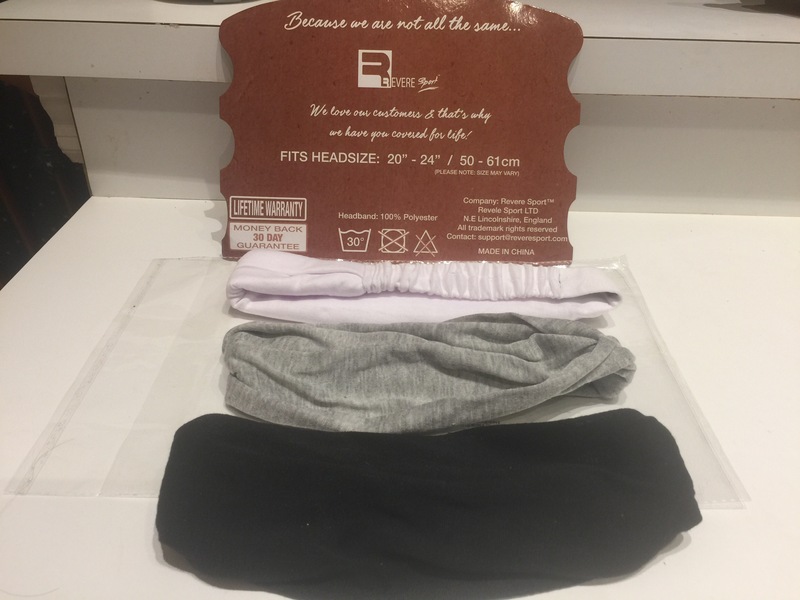 Theses headbands fit almost all head sizes from 20″ – 24″. These are really nice, wide, comfortable headband. I actually measured it. It can be folded to make it narrow in the front or can be full expanded to approximately seven inches wide. Some other brands of headbands end up being tight on my head and quicky give me a headache. I don’t get headaches with any of these headbands. Also, a very nice feature is that sports headbandscan be adjusted in the front to make it very wide or narrow in forehead area. These headbands are approximately 19″ in circumference. This measurement is not including the stretchable elastic like material enclosed around the narrow covered band in the back. These headbands can easily stretch four more inches. These sports headbands stays in place and don’t slip off. The headband stays on until I take it off. I have many uses for my headbands. I like to put on my headband right before going to sleep. I then can easily wash my face without getting my hair wet. Then I rinse my face and pat almost dry. The sports headband keeps my make up remover off my hair as I am cleansing my face at night. I then apply my night time moisturizer and maybe one or two other products. 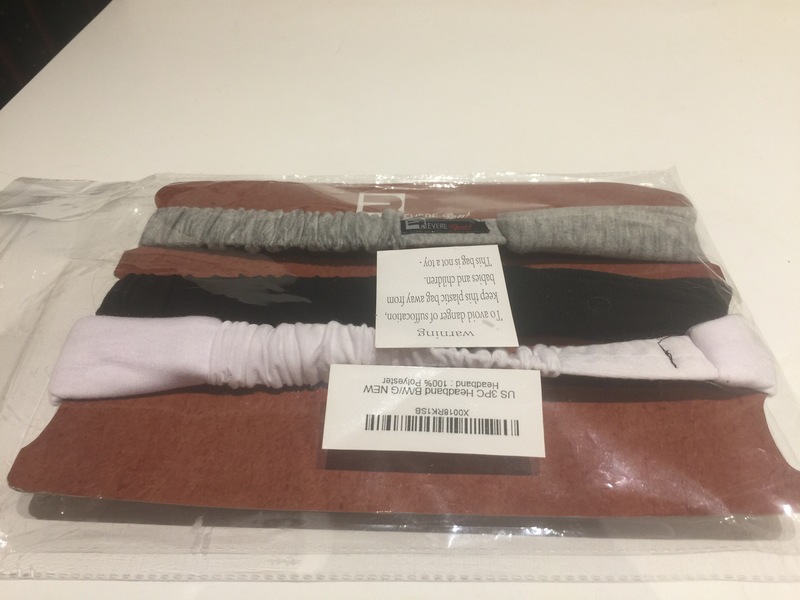 This sports headband keeps my hair clean and away from my facial products. In the morning before I remove my sports headband, I wash my face making sure I remove all the night time products from my face. I then lightly pat my face almost dry. Then I gently use my day time moisturizer and then apply my makeup. After I’ve finished applying my makeup, I then gently remove my headband and then maybe slightly touch up my makeup if necessary. I then gently redo my hair and then start my day. Before I go to bed, I then once more put on my headband to keep my hair from getting wet or full of moisturizer or other products. I also wear one of these sports headbands while walking in my neighborhood to get in some exercise and put my headband on then to trap the perspiration while walking in sunny, humid Florida. I have also used this product while exercising at a gym and while gardening outside in Florida’s long humid summer. I use my new headbands almost daily. I find it perfect for my needs. So perfect, I’m going to buy a couple in different colors, so as not to wear the same one too often. I will only handwash these sport headbands in cool water and a mild clothes detergent, maybe even woolite and then rinse and hang them to dry. Actually no need to put them in the clothes dryer. I would not even think to put it in the dryer, they drys so quickly on thrir own. And I would not want to take the chance of these headbands to maybe shrink a little. These headbands fit me perfect. They could even be a 1/2″ or so bigger. Really nice, comfortable headband. These headbands are very well constructed. If this product is well taken care of should last a long time. 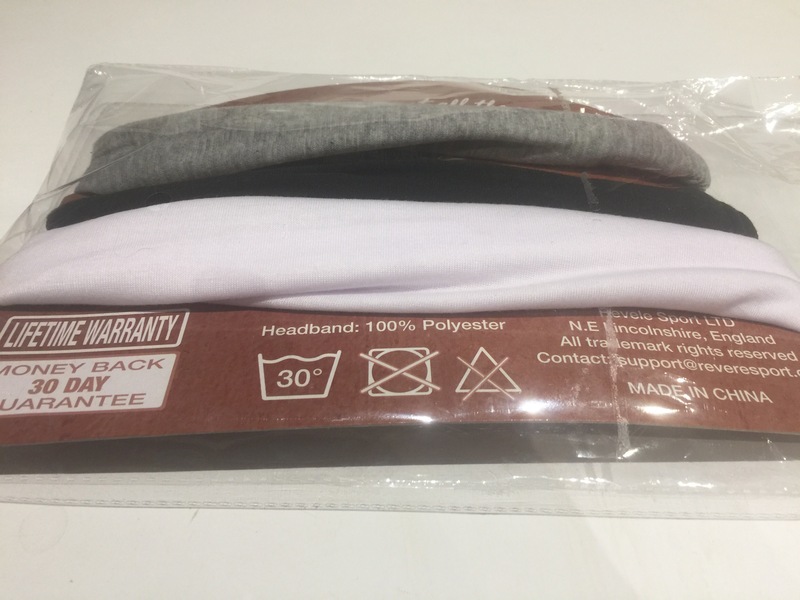 This set of three headbands by Revere Sport has a lifetime warranty and a money back thirty day guarantee. I purchased this product for a reduced cost in exchange for my honest and unbiased review. Mulberry silk refers to the silk made from the cocoons of the larvae of silkworms reared in captivity. The silkworms exclusively eat the leaves of mulberry trees. The environment of the silkworm larvae is strictly controlled to allow the larvae to spin silk threads that are rounder, finer, smoother, lighter and more uniformly colored than any other type of silk in the world. 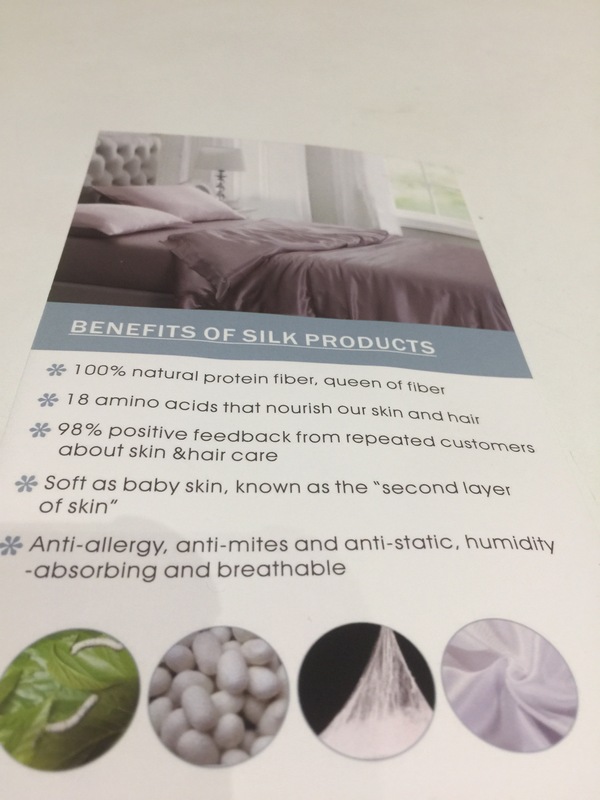 Mulberry silk fibers are also extremely strong, easily beating steel fibers of the same diameter in strength and durability. This mulberry silk pillow case came in a really nice light pink gift box. 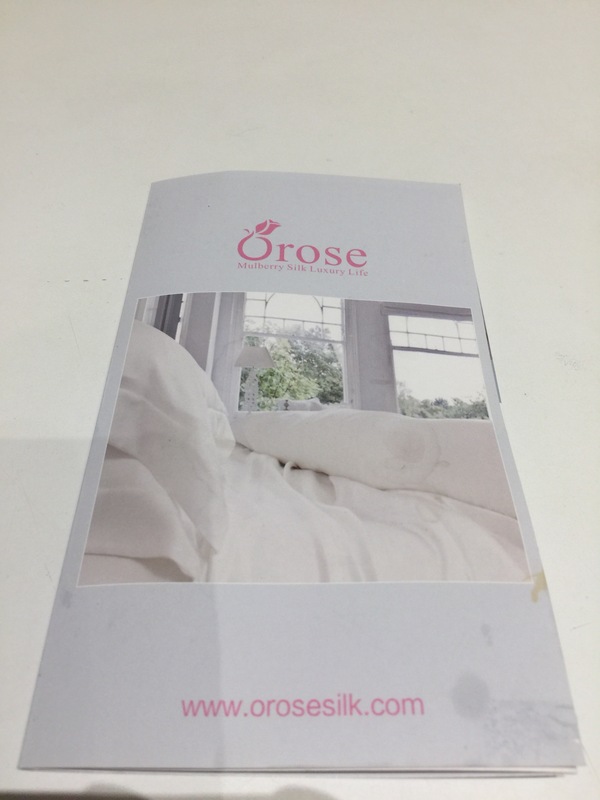 Also, in the box was a informative brochure that states the best way to care for your silk pillowcase. 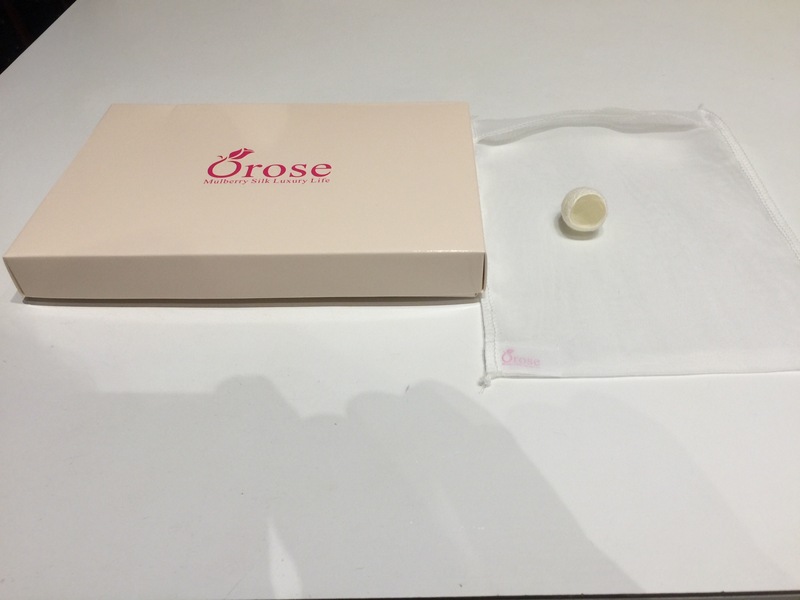 It also has a small small white mesh bag to store the silk pillow case in when not being used. Also included in the gift box was one mulberry silk cocoon. The silk cocoon added a nice touch to actually see and feel the silk in its original state before being processed into a mulberry silk pillowcase. I have been using this silk pillow case for approximately two weeks and have found this silk pillowcase to be very soft and comfortable. My hair keeps better in this silk pillowcase and my face feels so much more comfortable. Best of all, I feel pampered using this really nice mulberry silk pillowcase. This silk pillowcase is now my favorite pillowcase. I have handwashed this silk pillowcase in Woolite clothes detergent made especially for delicate items twice in the past two weeks. I then drape the pillowcase over a plastic clothes hanger to dry. When the silk pillowcase is just slightly damp I turn it inside out and lightly iron it on the cool setting of my clothes iron. I then put the pillowcase back on my favorite pillow. It once more looks new and is fresh and clean. I am really pleased with my new silk pillowcase. I will be purchasing a couple more of the silk pillowcases so they will last a lot longer. I think this product is well worth the money and highly recommend it. I received this Mulberry Silk pillowcase for free in exchange for my honest and unbiased review. I have had a very comfortable nights sleep on this pillow every night for the last two weeks. The pillow was delevired to my home shrink wrapped to 1/4 its size. Upon taking off the plastic shrink wrap the pillow expanded. To get it to its original size I also shake up the pillow and fluff it up using my hands. I then put the pillow in the clothes dryer by itself to make it more fluffy and a little warm. I could hardly wait to go to sleep while the pillow was still warm. The pillow is so much nicer than my old pillows. I only had my other pillows for about a year and they were already out of shape and kind of flat. 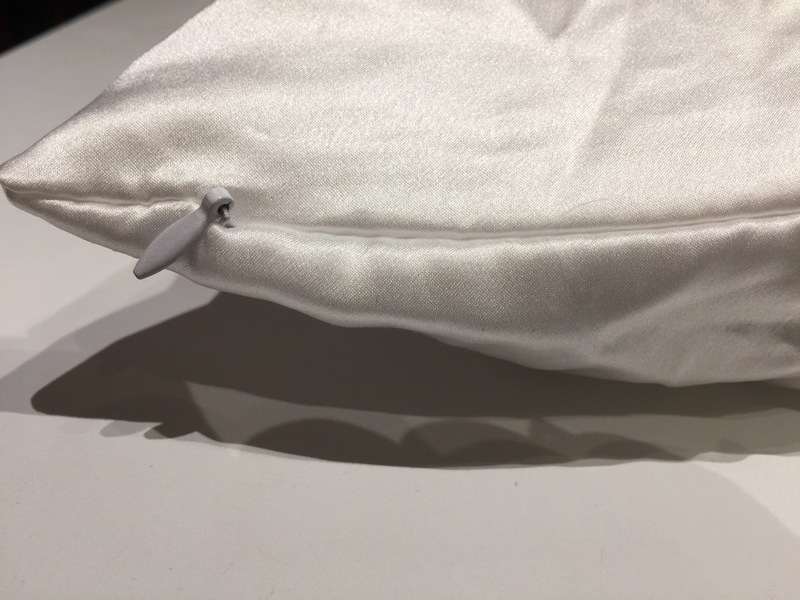 This new pillow is very well constructed and I love the soft outer material that enclosed the pillow inside. I did purchase a new pillow protector to help keep my pillow looking new and fresh. I then put a regular pillowcase over the entire enclosed pillow. The pillow itself inside is the alternative to sleeping on a down pillow. The pillow is made out of a hypoallergenic polyester. 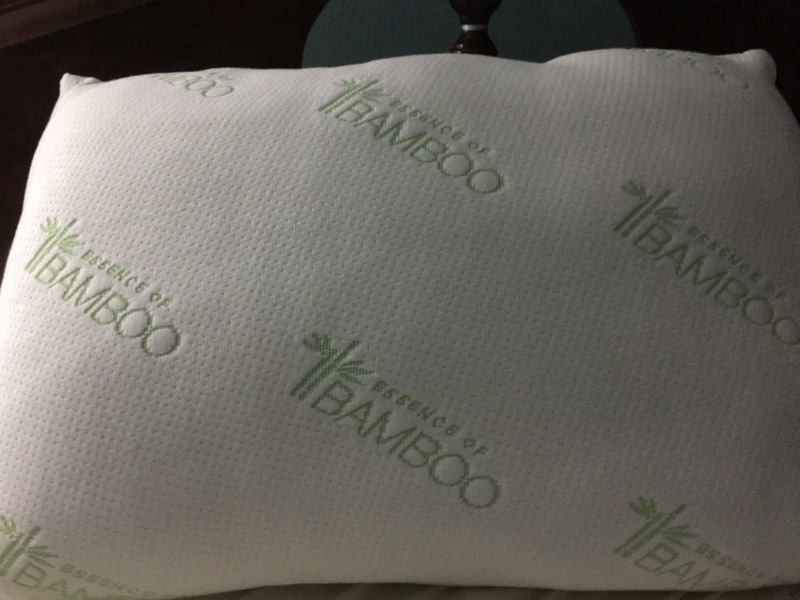 The pillow covering is made out of bamboo derived rayon and polyester. Made in the U.S.A.
It’s now well over two weeks and this new pillow has retained its shape 100%. I am very pleased with my new pillow and how from day one using this pillow exclusively that I no longer wake up in the morning with a neckache. I had not realized that my old pillows were causing my neckache. I am going to replace my old bed pillows for three of these wonderful, comfortable bed pillows. I sleep on my stomach and also sleep on my side. I find this pillow very comfortable either way. Once in a while I sleep on my back and still have a good nights rest and no neckache. I used to own real down pillows and like this pillow even more. Really great, relaxing, comfortable bed pillow. I would highly recommend. I received this pillow at a discounted price in return for my honest and unbiased review.